Campaign 1: Vox Machina and Campaign 2: Mighty Nein (through episode C2E51) podcasts can be found through the Geek & Sundry podcast network (on Podbean, iTunes, and Google Play Music). 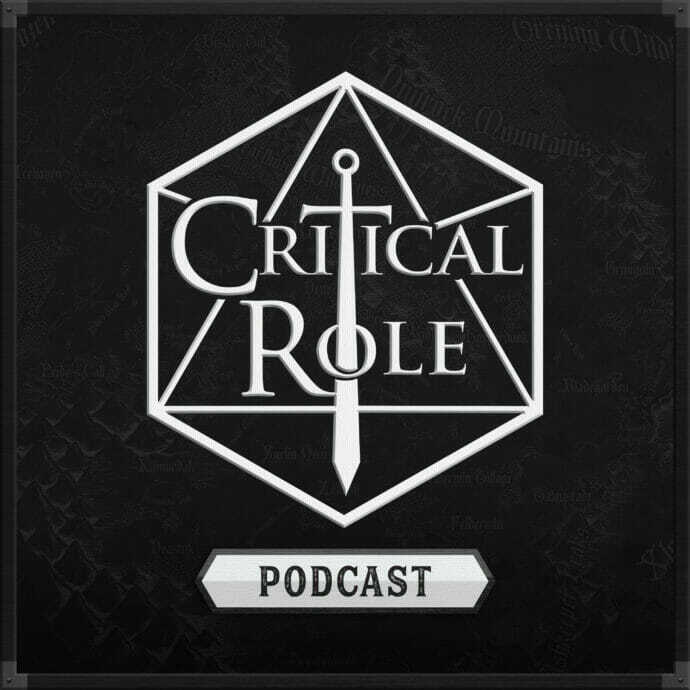 Starting with C2E52, Campaign 2: Mighty Nein can be found through the Critical Role podcast network, which also includes an audio-only version of Talks Machina (starting with episode 101). You can find the new podcast links though the Podcast section of our website and the podcast can also be found via Podbean, iTunes, Google Play Music, and Spotify.